Since our inception, Quality and Safety has been a Nuherbs® tenet. We firmly believe that quality systems yield consistent, safe and effective herbs and herbal products. Our regulatory compliance program is designed to elevate the quality of our products and empower our partners. Whether you are a practitioner or a manufacturer, quality and consistency translates to predictable results. Our Quality Control is a Building Block in Your Larger Process. 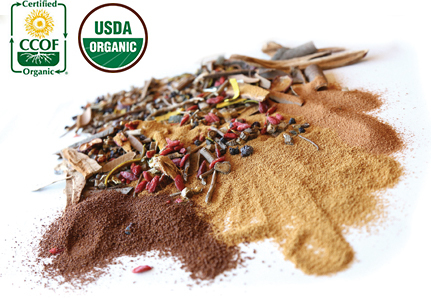 Consistency in the quality of our herbs takes the guesswork out of your treatment plan. You can recommend a formula to your patients with confidence that it will yield the desired results. Your patients can trust the safety of our products, which increases compliance with your treatment plan. Maximize visibility into your ingredient supply chain. Our laboratory-verified herbal ingredients will quickly and reliably pass your quality control inspection. Expedition of your production time results in increasing your profit margin. With the constant emergence of new regulations in the health and food industries, keeping abreast and meeting of all of these requirements can be challenging. Whether you are a manufacturer or a health care practitioner, you must understand these regulations and the impact they have on your business, and comply with them. At Nuherbs, we stay up-to-date on the latest laws, regulations, and policies related to food and dietary supplements. You can depend on us to keep you informed of the latest regulations, and to help you meet all safety and legal standards. Because your patients and customers rely on you for safe and effective health foods and supplements, you can count on Nuherbs to be your trusted partner in providing the highest quality products on the market. 20% discount on your first order! Some of the requirements that we meet in order to help you stay compliant with U.S. food laws are current Good Manufacturing Practices (cGMP) and the Food Safety Modernization Act (FMSA). Together, cGMP and FMSA regulations certify that herbal supplements and foods are safe for consumption. Nuherbs proactively complies with both GMP and FSMA regulations to assure our herbs are genuine, safe, and efficacious. In addition to these major regulations, Nuherbs also maintains compliance with lesser-known regulations, such as the Convention on International Trade in Endangered Species of Wild Fauna and Flora (CITES).